A leading analyst of the diamond industry has punctured holes into the British Broadcasting Corporation (BBC) documentary that purports to expose human rights violations at Zimbabwe’s Marange diamond fields. 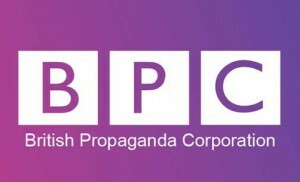 The BBC’s famed Panorama programme did a hit piece alleging that Zimbabwe’s security forces were running a torture camp at the diamond fields. Alleged victims of the torture were showcased recounting horrific tales about the goings on at the fields near Mutare in Manicaland. But Chaim Even-Zohar, an analyst for diamondintelligence.com, an authoritative publication on the diamond industry, pointed out many inconsistencies in the documentary that compromise BBC’s credibility. “Panorama’s Marange report seen in its totality was superficial; there was no real discussion of the complex issues and no real dialogue on what the KPCS (Kimberly Process Certification Scheme) has achieved or where it has failed,” Even-Zohar wrote. Even-Zohar said most of BBC’s evidence appeared to be sourced from incidents that happened in 2008, yet a lot has changed in Marange since then. Mines and Mining Development minister Obert Mpofu dismissed the documentary as British propaganda meant to stop Zimbabwe from selling its diamonds on the international market. Stephane Chardon, the chair of the KPCS’s powerful Working Group on Monitoring convened an emergency teleconference, a day after the airing of programme, but no action has been taken against Zimbabwe yet.